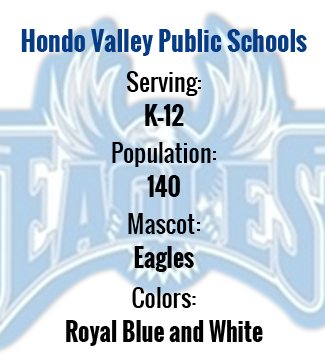 Hondo Valley Public Schools serves students in kindergarten through 12th grade. Our schools employ caring, compassionate teachers and support staff who work tirelessly to help every child achieve to the best of his or her ability. 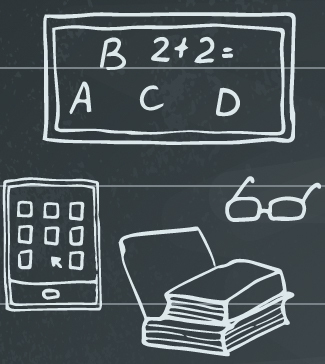 Learn more about our schools below. Hondo Elementary serves our kindergarten through 6th grade students, giving them a firm foundation in reading, math, and the sciences. Our chief aim is to provide our students with the environment and resources they need to become responsible, self-directed learners. Hondo High School has a great reputation of academic excellence and athletic success. That success lies in the understanding that education is more than just the recitation of fact. It is growth. Intellectual, physical, social, and emotional growth. At Hondo, this growth is sustained by teaching our students communication and computation skills, problem solving, investigation and reasoning skills, and mutual respect. Please complete the registration packets, and bring them with you to register your child at Hondo. Hondo Valley operates on a four-day school week (Monday–Thursday) from 8:00 a.m. to 4:00 p.m. Please take advantage of the information in the pages below to help answer your questions about required immunizations and local clinics, where you can update your records.